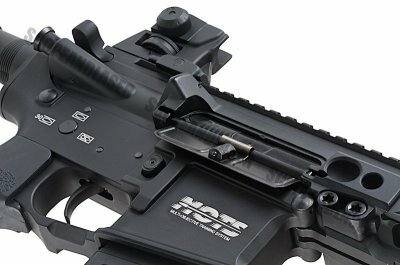 G&P Auto Electric Gun-082 series joins M4 family, a brand that has garnered a reputation of quality, performance and compatibility to the point of setting the standard for all metal AEGs. 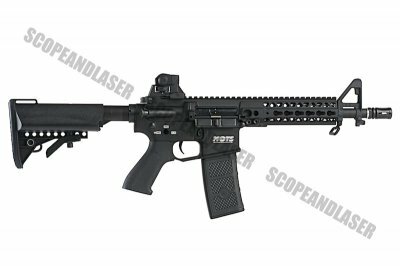 With the exception of the polymer pistol grip, telescopic adjustable crane stock, it is completely made out of metal with a few snazzy markings that really give it a coolness factor. The textured grip you find everywhere is comfortable to hold and would guarantee you fantastic grip. G&P internals are a promise of benchmark standards; the degree of quality, reliability and performance that set the trend for AEGs to follow. 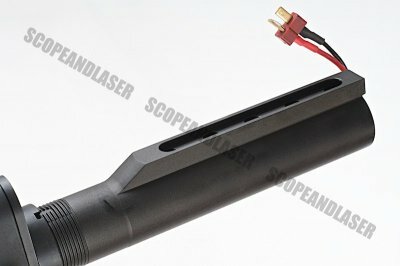 Good clean, solid performance you can count on and if thats still not enough they are highly compatible so you can talk to our engineers about jazzing up those parts to greater heights of power and rate of fire. 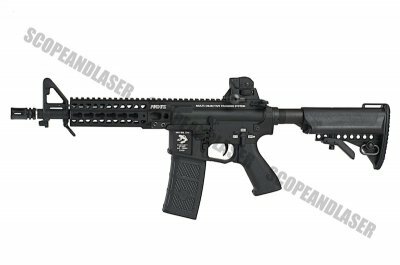 The 7 inch rail system conceals the most of the 11 inch outer barrel giving this a full length, aggressively profile. 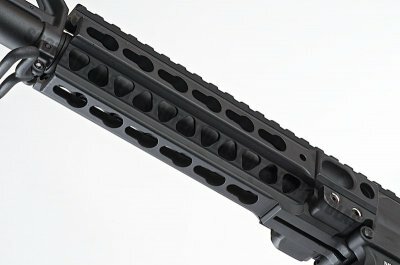 Keymod rails on four sides with the full length on top leave more then ample accessory attachment potential for even the most thirsty tactical option rich operators.